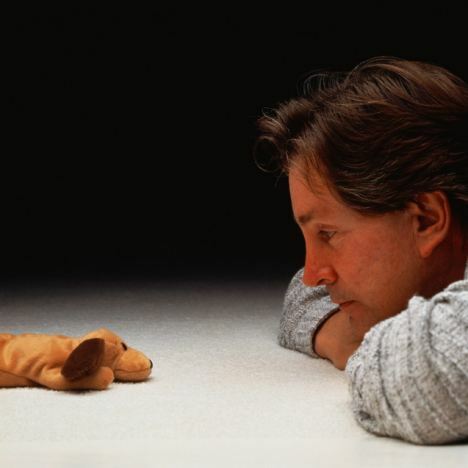 Forbes estimates that Beanie Baby creator Ty Warner’ net worth is $2.7 Billion. This is an amazing achievement considering a bulk of it was earned during a 3-year time frame selling a $5 per unit stuffed animal. The fact that Ty Warner’s Beanie Babies were able, without the benefit of a single ad, to outpace the combined annual profits of the largest toymakers in the world for even a few years is unprecedented. To illustrate how quickly the bubble grew and how profitable it was for Warner: In 1995, Ty Warner’s company Ty Inc had sales of roughly $28 million. In 1996 sales were $280 million with $90 million in pre-tax income. By 1998, Ty Inc sales reached $1.34 billion with pre-tax income of $700 million. The Beanie Baby craze ranks right up there with the tulip mania of the 1630’s. What started with little kids wanting a nice plush animal turned into adults literally killing for them. Let me give you a few more figures. In Ebay’s 1998 Annual Report it disclosed Beanie Babies as material. “At times, approximately 7% of our listings involved Beanie Babies”. Furthermore, it was said that 10% of Ebay sales at the time were derived from Beanie Babies. Ty Warner didn’t believe in doing partnerships or promotions, however he did with two organizations. In a McDonald’s promotion, McDonald’s gave away 100 million Beanie Babies with children’s happy meals. Adults were going through the drive-thrus ordering 100 happy meals at a time, throwing out the food or telling the attendant to keep the food, and reselling the Beanie Babies. McDonald’s sold out of 100 million Beanie Babies in THREE DAYS. It was supposed to take five weeks. In a deal with Major League Baseball, teams could give away 10,000 Beanie Babies at a game of their choosing. During these giveaway games, attendance rose 37.4%. The giveaways did more for ticket sales then any promotion in MLB history. Ty Warner was an obsessive, eccentric, iconoclastic sociopath. He didn’t have many friends. He has only done one formal interview in the last thirty years. This said a lot of the strategies he knowingly and some unknowingly put into place to drive scarcity, which in turn drove up prices of some Beanie Babies from $5 to….. $50 -$100 even $5,000 per unit is quite educational. Hundreds if not thousands of people quit their day jobs to hoard and collect new Beanie Babies and resell them on Ebay or secondary markets. Warner would retire (discontinue) certain animals to create demand in primary and secondary markets. He bucked the trend of the toy industry which said a $5 toy could never become a collectable. He was obsessive about quality and low price points. He passed the savings from his lower cost of capital onto stores in the form of reduced prices. He refused to sell to big box retailers. He didn’t want to see his Beanie Babies sold in crates. He only worked with small independent stores. He loved selling them at gift shops in airports because it was the perfect last minute gift for a child with a secondary effect of having them flown around the world to help spread his brand. He was obsessive about quality and would design almost every animal himself and spend months each year in China picking out fabrics. His office was filled with his creations. He would work out of Ty Inc’s conference room so he could watch what everyone was doing. Even the things he wasn’t good at like distribution seemed to spur on demand even more by exacerbating supply shortages. He had a saying around the office, “Control the fad”. In the end, just like with any bubble, it eventually burst. In a few years following the 1998-1999 bubble highs, Ty Inc’s sales would fall by 90%. In 2004, the company would report a $34 million loss. Ty would eventually stabilize the business again with other products. But in many ways, he had already made his fortune. In an odd pivot, in the late 1990’s/early 2000’s, he started diversifying buying high-end hotels. He bought the Four Seasons in New York for $250 million, the Biltmore Santa Barbara and Coral Casino Beach and Cabana Club for $150 million, San Ysidro Ranch for $30 million, Sandpiper Golf Course for $25 million, Kona Village Resort in Hawaii for $60 million, Montecito Country Club for $40 million, and Las Ventanas al Paraisio in Los Cabos for $100 million. Business owners, investors, and fans of market history will really enjoy The Great Beanie Baby Bubble by Zac Bissonnette. He also found a way to get the tax evasion charges dropped. Personally, amazed he was able to play the system. I think he is also similar to Cuban. Cuban sold Broadcast at the peak and bought the Mavericks. This guy took the cash flow from Ty and put it into hotels at the right moment.